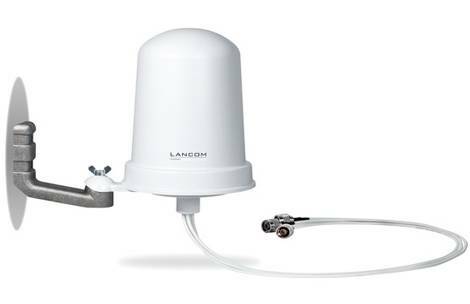 The weatherproof AirLancer ON-T360ag omni-directional antenna provides effective WLAN over wide areas. Mounted centrally, it is ideal for 360° coverage. Thanks to 3x3 MIMO, it offers maximum performance for the WLAN standard IEEE 802.11ac with up to 1,300 Mbps. 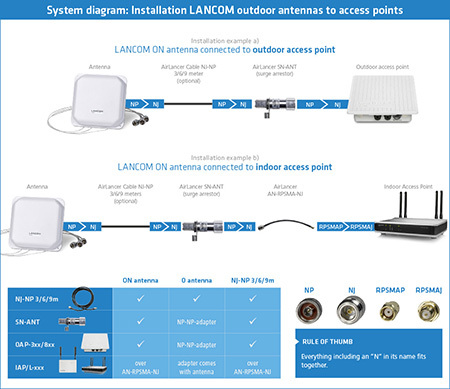 It is ideal in combination with dual-radio access points to offer parallel operation at 5 GHz with 2x2 MIMO and 2.4 GHz with 1x1 MIMO.